Nine years without a redesign has done this CUV no favors. I would yell at a grocer who tried to sell me a nine-day-old loaf of bread, so Infiniti is going to get a similar earful about the QX50, which has never been fully redesigned in its nine years on sale here in the U.S. There have been refreshings, new engines, and even a wheelbase stretch, but those band aids can’t fix what really ails the Infiniti QX50, which is Father Time. Ride and handling balance. Let’s start with the QX50’s suspension, which, for a nine-year-old model, deftly balances the conflicting demands of a comfortable ride and engaging handling. Most luxury vehicles favor one or the other, or use complex and expensive adjustable suspensions to let you pick your preference. The QX50 is more like a BMW from a bygone era that does both well without the interference of electronics or any need for mode selection on your part. Big V6. 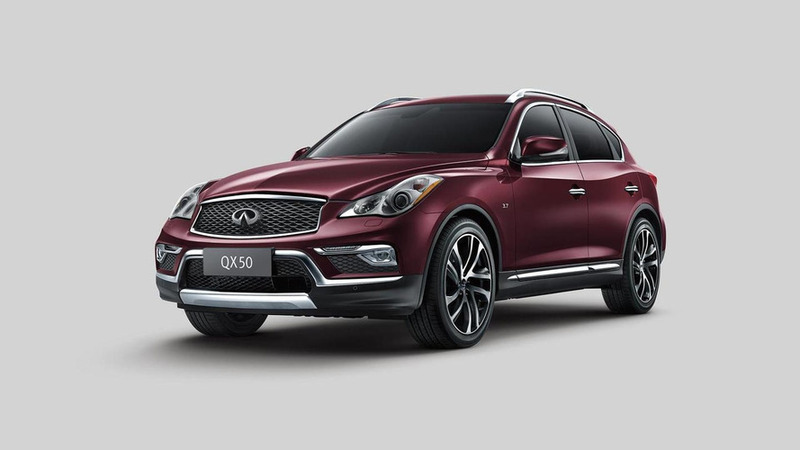 The QX50 is a compact crossover, yet it shares a big engine with other larger Infiniti vehicles, namely the fullsize Q70 sedan and midsize QX70 CUV. 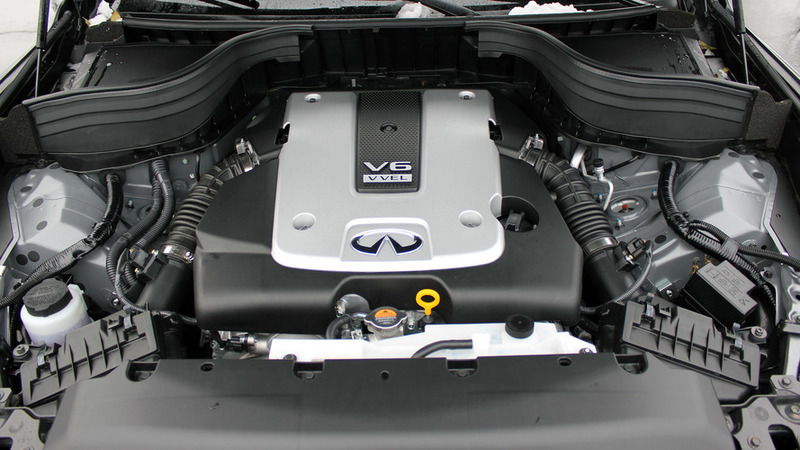 It’s a 3.7-liter V6 that produces a generous 325 horsepower and 267 pound-feet of torque. To give some perspective, that’s more power than virtually all of its competitors (many of which have quit offering V6 engines altogether in favor of more efficient turbocharged four-cylinders) and more than even its larger brother, the heavier three-row QX60 CUV. It’s an odd selling point in this age of efficiency and added lightness, but if you’re looking for a hot rod, the QX50 has a motor you’ll like. Old style, old tech. You can tell QX50 is no spring chicken just by looking at it. The reserved styling doesn’t match other Infiniti vehicles, which are some of the most expressive and daring designs you can buy right now. Park it next to a razor-sharp Lexus NX or a seductive Mercedes GLC and the QX50’s many nip-tucks over the years are more than apparent. Likewise, as much as Infiniti has tried to stuff the QX50 with the latest technology of the day, some simple things are missing, like a large infotainment screen and high-def information display inside the gauge cluster, a power hands-free rear liftgate, and Apple CarPlay and Android Auto. Tight inside. 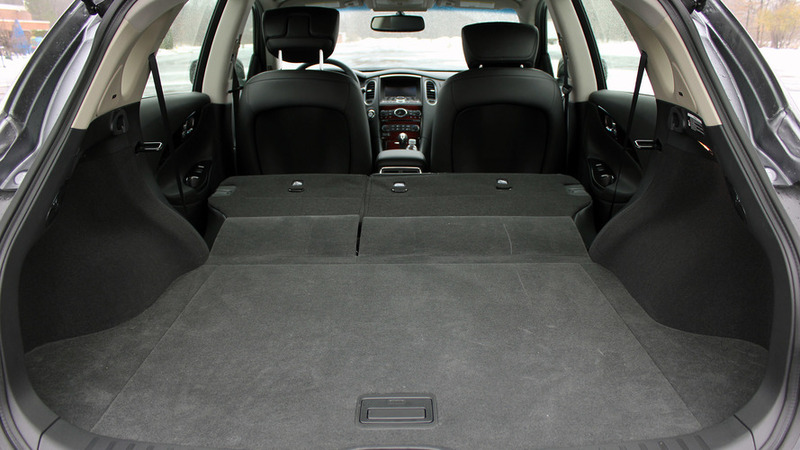 A cramped interior has always been the QX50’s biggest drawback. 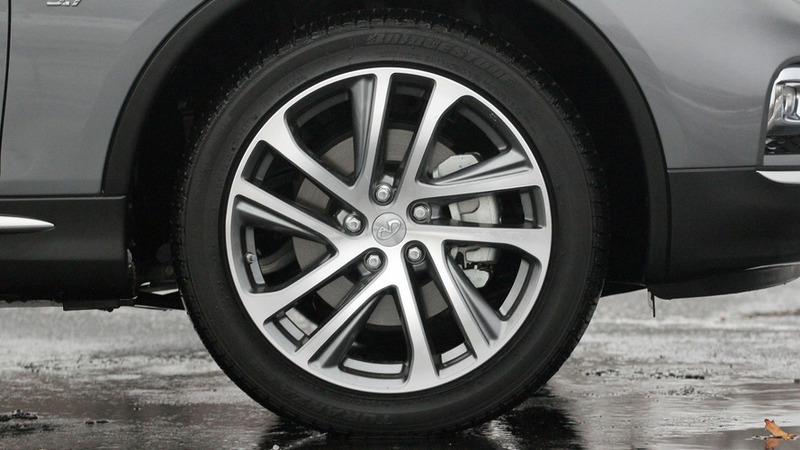 That was supposed to be fixed two years ago when, in addition to ditching the EX moniker, Infiniti stretched the QX50’s wheelbase by 3.2 inches and lengthened the whole vehicle by 4.5 inches; four of those inches went to rear seat legroom alone. While elongating the QX50 helped, it still remains one of the tightest compact crossovers among its peers. Also, it’s very difficult to find a comfortable position behind the wheel; the driver’s seat height didn’t go down as far as I wanted while the steering wheel didn’t tilt up high enough for an unobstructed view of the gauges. And I’m of average height. I suspect those taller than me will have welts on their heads from hitting them against the door frame and sun visor. Awful MPG. Remember that big V6? There’s a cost to making that much power, and it’s felt most acutely while filling up. 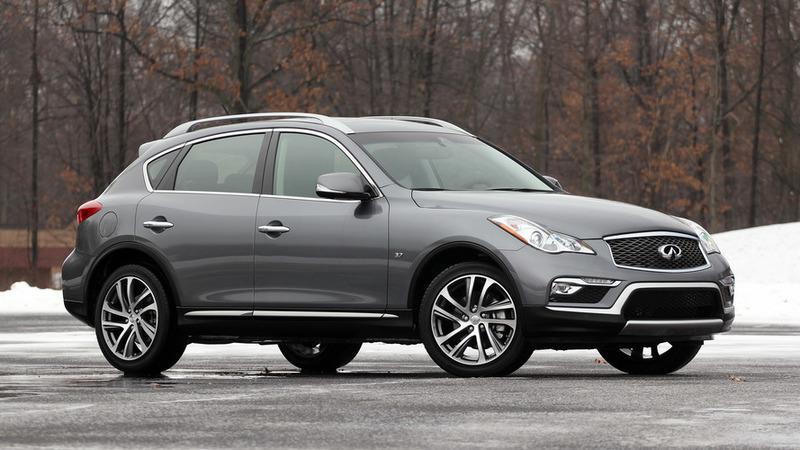 The QX50 is rated at 17 miles per gallon in the city, 24 on the highway, and 20 combined. That’s worse than just about every other compact luxury SUV, including the Audi Q5 with its supercharged V6 engine that still somehow manages 22 mpg combined. It’s not even rated to tow anything with all that power (the Q5 can pull 4,400 pounds). Oh, and it requires more expensive premium fuel, too. Bummer.